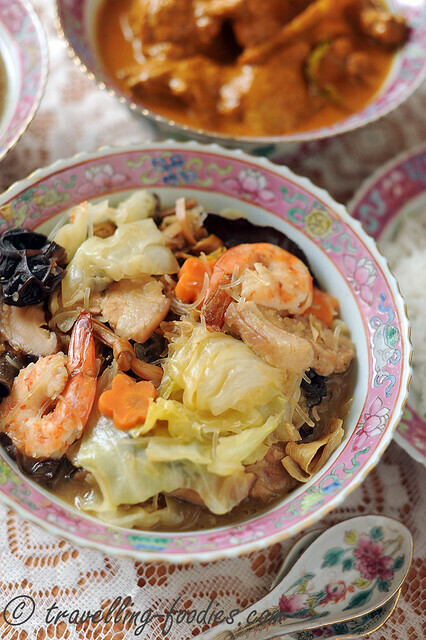 Chap Chye is a quintessential dish for anyone who takes an interest in Peranakan food to learn to cook . 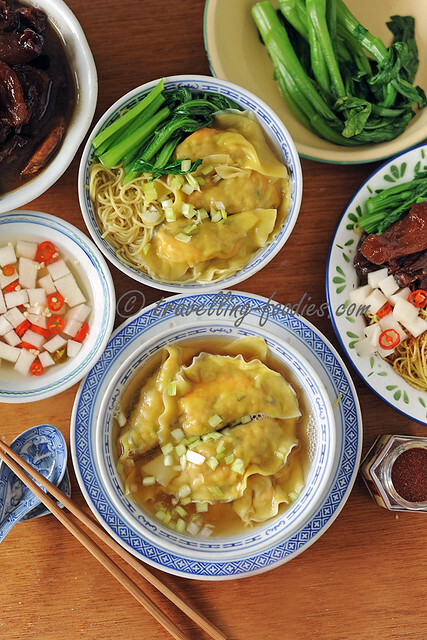 It has its roots in Chinese cuisine of course but has since become deeply ingrained and naturalised into the Straits Chinese way of cooking. For us, Chap Chye is a dish which never fail to make its appearance on the dining table whenever we celebrate a major festival at my Grandma’s. Like I’d mentioned before, this dish together with kari ayam and ngoh hiang are hailed as the “holy trinity” which reminds me much of my grandma’s cooking even until today. It is her speciality, which she faithfully prepared the day before, in full knowing that the dish takes a good overnight rest for the flavours to develop and mature. Traditionally, chap chye is a must whenever there is ancestral prayers, alongside other dishes like pongteh but as the generations evolved, the rule for chap chye as a laok semayang has relaxed over time as it is now commonly enjoyed even over simple family dinners. 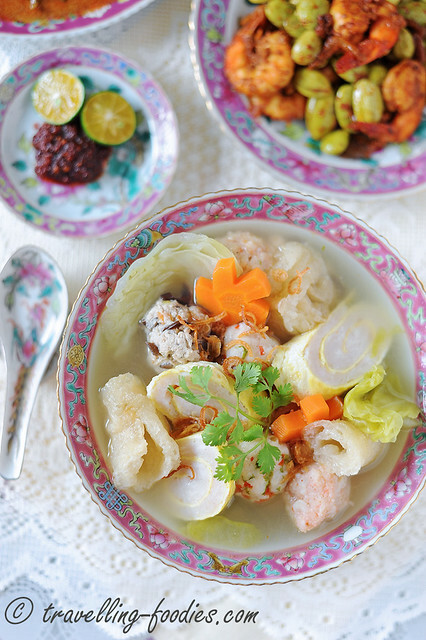 Peranakan cooking is a classic example of an amalgamation of the culinary cultures from many ethnic groups who have lived closely together in this region for hundreds of years. It likens a ”Creole Cuisine“ of the East, blending together influences from Malay, Chinese, Portuguese, Indonesian and Thai cooking all into a unique genre which we know today as “Straits Chinese cuisine”. Out of these influences came a myriad of dishes which have now become signatures of Straits Chinese cooking, whose names run analogous to the cuisine now. Ayam Masak Buah Keluak, Itek Tim, Babi Pongteh and Ikan Gerang Asam are some of the more iconic ones. Like many other Peranakan dishes, he Hee Pio soup has its origins in traditional Chinese cooking, particularly those from the southern provinces of Guangdong and Fujian. For many lovers of the cuisine, Hee Pio Soup is a simply must-have on the dining tables at family dinners, important gatherings, wedding celebrations and other joyous occasions where the “Tok Panjang” was served. While the concept of Tok Panjang has kind of waned and disappeared from the modern lifestyles of most Peranakan households, Hee Pio soup still makes its customary appearance whenever folks get together just to dine together in the company of one another.